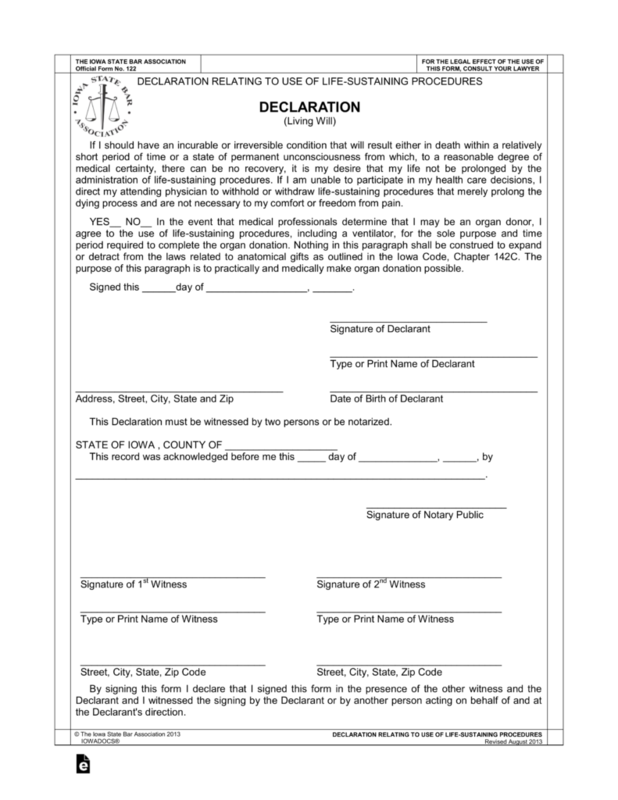 The Iowa Living Will is a legal document that will set forth the desired wishes of the Declarant/Principal, with respect to their decisions for medical care. Adults have the basic right to make decisions about their own medical care especially during an end of life situation. All persons have the right to decide whether they wish to receive specific medical treatments. A Declarant/Principal has the right to choose to decline medical procedures that may only prolong their dying process, or choose to use those procedures that will prolong their lives as long as possible. This document may be revoked at any time as long as the Declarant/Principal is of sound mind to complete the revocation. Medical Power of Attorney – Allows for the patient to select a person (family or close friend) to have the decision-making power to handle their health care decisions as delegated in the document. 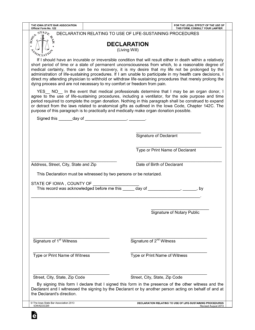 Step 1 – Review of Statements and Organ Donation Decisions- The Declarant/Principal must carefully review the statements at the beginning of the form.